In last month’s newsletter we learnt from Colin Bulka, Director of JDC Hungary, who shared some of his ideas about why it is so important to plan well and set clear goals for your activities and programs. Colin also gave some practical suggestions of how to do this. Now we are going to take these ideas one step further. Once you have set goals, how do you know if you have achieved them? That is where measurement comes in. In Colin’s second short podcast, he emphasizes how important it is to think carefully about measuring the impact of your programs. This is critical for a few reasons. Firstly, it helps you and your colleagues refine and clarify exactly what you are hoping to achieve and why. It pushes you to keep improving your work, and often it is also a central piece of a funding request. How did we define success for this year? Or this event? Are we consciously measuring outcomes to see if we are being successful? Colin points out that some objectives are quantitative, and relatively easy to measure. For example, “5 new people to come to our event” or “Participants will spend 30 minutes engaged in text study“. Others are qualitative (and much harder to measure). For example, “To connect our members to their Jewish heritage“. “For participants to feel more committed to the Jewish community“. 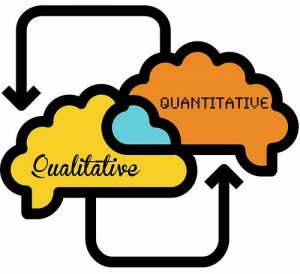 Colin suggests that for the qualitative objectives you can identify what the key indicators are. In other words, what would you see if your objective were fulfilled? This helps clarify what success for this objective looks like. Perhaps an indicator of participants feeling more committed to the Jewish community may be “The participant has joined more Jewish groups” or “The participant has taken on a leadership role“. The full podcast has lots of great examples and practical suggestions for how to measure your activities effectively and without external resources. This topic is appropriate for the month of Av, and also for the following month of Elul, as these are months of self-reflection. We ask ourselves if we had a successful year, where we achieved our goals and where we fell short. The same is true for our work, and we hope these resources are helpful to you. The following resources will help build your skills and knowledge in this area. The Schusterman Foundation has a Data Playbook toolkit that takes you through aims, objectives, and how to collect data to enhance programming. BetterEvaluation.org explains many different types of evaluation. The Jewish Survey Question Bank has previous surveys carried out by professional researchers that can inform questions in your own surveys. If you plan on leading a focus group then ETR, a US based social inclusion non-profit, has an excellent guide. For more general advice about collecting data we suggest referencing the book, Data & Design, and skipping to the chapter relevant to you. For an interesting non-profit measuring success case study by the Management Consultancy firm Mckinsey and Consultants click here. Even though we’re in the middle of the summer sun, one of the saddest days in the Jewish calendar occurs this month. The 22nd of July is Tisha b’Av (the 9th of Av) recalling the many tragedies that befell the Jewish people including both Temples. This is contrasted a week later with Tu B’av (the 15th Av) on 27th of July which celebrates love. Visit Yesod’s Archives for more ideas and resources on both days.